A trampoline jumping mat used for the general public can show signs or wear and tear after only a season of intensive use. To guarantee jumpers safety at all times, it is important to replace your jumping mat regularly. 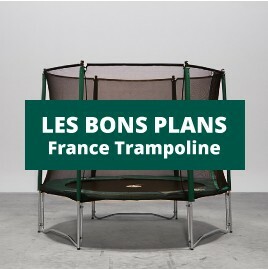 France Trampoline, professional trampoline battery specialist since 1971, can provide you with a made to measure jumping mat adapted to your professional trampoline. Our jumping mats are made to withstand the test of time and intensive outdoor use. Your trampoline will offer your jumpers with a leap in quality ! Custom jumping matsThere are 9 products.